The IBM PhD Fellowship Award, instituted in 1950 to recognize outstanding PhD students who drive innovation, is one of the most sought-after distinctions worldwide. Each year, only a chosen few make it to the elite group. Among the awardees for 2018 is Lefteris Kokoris-Kogias from EPFL’s Laboratory of Decentralized and Distributed Systems. His achievement is all the more creditable because he figured among the awardees for 2017 as well. 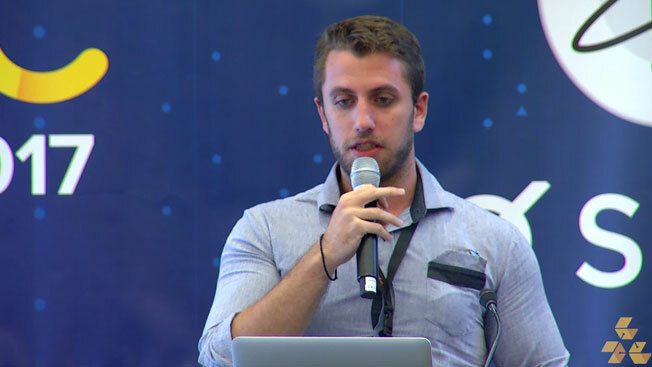 In course of his research, Lefteris has built a body of literature that has been published by leading computer science conferences like USENIX Security and IEEE Security & Privacy. Under the supervision of Professor Bryan Ford, he has worked extensively on decentralized trust systems that help the Internet become more dynamic and accessible. Among his exemplary works are the development of scalable blockchain systems and innovative applications of threshold cryptography and distributed consensus. Lefteris’s work is in sync with IBM’s declared goals toward academic excellence. Over the years, the Fellowship has been awarded across a wide range of disciplines and for innovations in the fields of, inter alia, cognitive computing and augmented intelligence, quantum computing, blockchain, data-centric systems; and brain-inspired devices and infrastructure. Currently, Lefteris is developing transparent access control systems for blockchains. Later this month, he will present his latest blockchain solution ‘OmniLedger’ at the IEEE Security and Privacy conference in San Francisco. OmniLedger offers a decentralized payment system that performs on par with centralized systems like VISA and has a latency of seconds. It has already been embraced by startups like Emotiq and IOVO. The IBM Fellowship Awards (2017 and 2018) are the latest in a string of distinctions for Lefteris. These include the EDIC PhD Fellowship (2015), Kary Award nomination (2015), and Thomaidion Award for Academic Excellence (2016).